Due to inaccurate and incomplete item data, hospitals commonly struggle to procure the items that they have contracted despite their best intentions. In fact, according to KPMG, the average contract utilization for healthcare providers is only 57%. On the positive side, this provides a tremendous opportunity for manufacturers to achieve an advantage over their competitors, gain share, and reduce returns/misuse. Prodigo's technology allows for enriched item attribute content to be shared directly with the staff who purchase and use your products, even if being sold through distribution. Additionally, Prodigo can store and present much more data than providers can do alone. This is one of the many reasons many of the nation's largest and top-rated hospitals trust Prodigo. 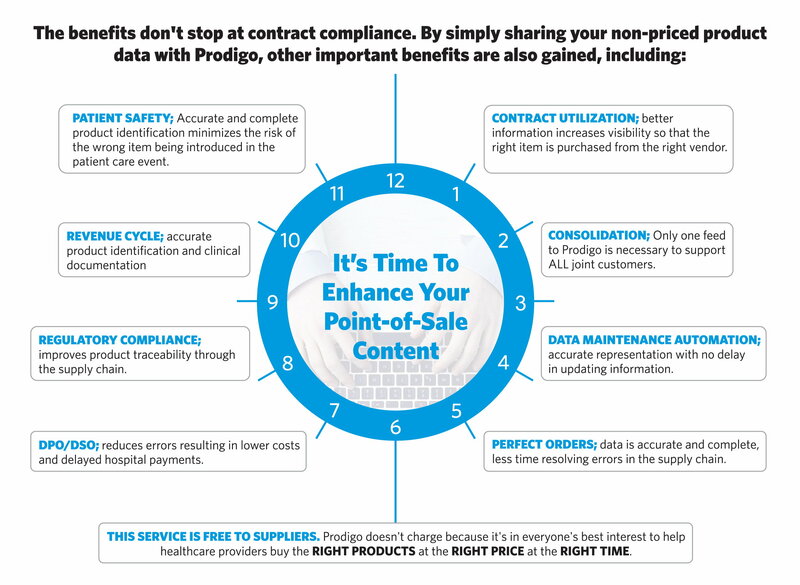 As a manufacturer, sharing your existing non-priced product data with Prodigo will guarantee accurate and up-to-date information direct from the source; helping your end-customers stay compliant with your contract volume commitments. 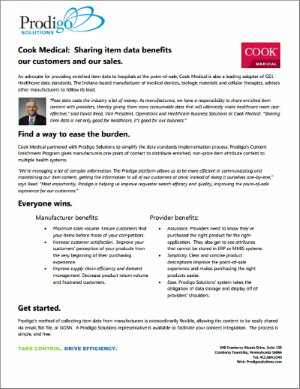 With 25M+ items under management, Prodigo is already one of the largest data aggregators in healthcare today! Prodigo has partnered with FSEnet+, a GS1 GDSN Certified Data Pool, for manufacturers to subscribe and publish their data via the GDSN. 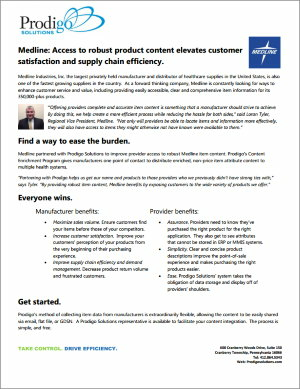 Please click here to partner with Prodigo and FSENet to increase supply chain efficiency.